welcomes fiction, non-fiction, and poetry submissions, as well as proposals for Points South and feature articles. Submissions for the winter issue close on 1 September. is based in Vancouver and is published three times a year. Submissions for its winter issue with the theme ‘meat’ close on 1 September. is a Massive Open Online Course (MOOC) being conducted by Brown University. The course seeks to explore relationships and literature through readings of ten great works of narrative fiction from the 18th to the 20th century. The course commences on 1 September and runs for 14 weeks. awards publication and US$500 to a previously unpublished work of fiction of 300 words or fewer. While there will be only one winner of the contest, all submitted pieces will be considered for publication. Entries close 1 September. publishes fiction and non-fiction and there are no genre restrictions (refer to the magazine to get a sense of the type of work they are interested in publishing). McSweeney’s are keen to discover and nurture new and developing writers, but writers should be aware that the response time can be fairly lengthy. Submissions reopen 1 September. publishes short fiction, poetry, essays, drama, and book reviews. Writers at all stages of their careers are invited to apply, however, it only publishes a very small fraction of the material received. Submissions reopen on 1 September. welcomes submissions from unpublished children’s authors whose writing embraces ethnic diversity either through their own ethnicity and culture and/or in their writing. The winner receives £500 cash and professional mentoring will be from Catherine Pellegrino & Associates. All entrants must be over the age of 16 and a permanent resident in the United Kingdom. Closes 1 September. is a developmental award to foster talented Australian writers aged 30 or under who are working on a long form or book-length non-fiction work. In addition to a cash prize of AUD $1500, the winner receives the opportunity to meet with a publisher or an editor and to experience the process of working with an editor on their writing. Entries must be between 5000 and 10,000 words. Closes 1 September. is open for fiction and non-fiction of up to 500 words. A total of CA$1000 in cash prizes is on offer and all prize-winning entries will be published. Entries close 1 September. is a published semi-annually at the University of Illinois, Urbana-Champaign. Submissions reopen on 1 September and the editors are seeking fiction, poetry, and essays that experiment with form, narrative and non-traditional subject matter, as well as more traditional literary work. is a new $1 million program of reporting grants to encourage innovative, multimedia storytelling that aims to improve the health and prosperity of Africans. The ‘My Africa 2063’ challenge opens in September. for women writers is located on Whidbey Island, about thirty-five miles northwest of Seattle. The program is open to all women writers, whether their work has been published yet or not. Applications for 2015 residencies close 3 September. for New Zealand published writers or presented playwrights at an early stage of their career. The successful writer receives NZ$20,000. Applications close 5 September. provides a grant of US$3000 to complete research at the University of Oregon. This short-term research fellowships are open to undergraduates, master’s and doctoral students, postdoctoral scholars, college and university faculty at every rank, and independent scholars working in feminist science fiction. Applications close 5 September. is an 80 page A4 publication consisting of new work in the genres of poetry, fiction and plays, including articles and reviews of writing along with interviews with practitioners. Submissions for the November issue close on 5 September. welcomes entries of fiction, non-fiction, and poetry for its annual contest. A prize of $1000 will go to one winning entry, with two additional entries receiving $250 each. Entries close 5 September. is seeking Christmas-themed flash fiction by Australian writers inspired by the Krampus myth. Twelve stories, accompanied by six illustrations, will be made into sets of ‘Krampus Crackers’ to be distributed in various locations around Brisbane. will support four established writers who need intensive support with a writing project. They will be paired with a writer or industry professional – such as an agent, editor or producer – for 9 months of mentoring. Applications close 6 September. will take place on 6 and 7 September in Brooklyn, NYC. Panels and workshops will cover topics from the craft of writing (plotting, dialogue, characterisation, poetry, and more) to the business of writing (pitch letters, landing a book deal, and beyond). is offering up to five awards of US$6000 each for writers and artists with families. The money can be for things like child care, workspace, new equipment, research and travel. The awards are open worldwide. Applications close 8 September. is a web magazine of arts, culture, and politics. It welcomes unsolicited submissions and describes itself as ‘genre flexible’. The current round of submissions is open until 8 September. established in Philadelphia in 1973, is published quarterly online and annually in print. Submissions for Issue 91 with the theme ‘Humor’ are open until 12 September. is open to all writers 18 years and older. There are four categories including a non-fiction award and a writing for young people award. Each winner in each category receives CA$1000 and will be published in an anthology to be available at the conference to be held in Surrey, British Columbia, in late October. Entries close 12 September. is running for the sixth year. Entrants are asked to compose a short story entirely of dialogue. You may use as many characters as you want but your entry must be under 2000 words. Entries close 15 September. support residences of up to eight weeks for writers and other artists. Located in New Hampshire, studios, room and board are provided. Applications for Winter/Spring 2015 residences (1 February to 31 May) close on 15 September. is located on a 1000 acre plus working cattle ranch 20 miles southeast of Sheridan, Wyoming. It offers individuals a supportive environment in which to further their creative development. Application for residencies in winter and spring 2015 close on 15 September. is an independent literary publisher based in Pittsburgh. Poetry submissions on the theme ‘love of country’ are currently being sought for its 15th issue. Closes 15 September. is a seven-day writing workshop aimed at emerging screenwriters and/or writer/directors from Southeast Asia aged between 18 and 35, with a focus on stories capturing the collective experiences of the past, present and future Southeast Asia, to be developed into feature-length screenplays. Applications close 15 September. is accepting submissions for its Spring 2015 issue with the theme ‘rejection’. It is looking for fiction, poetry, non-fiction and interviews and the theme is open to interpretation. Submissions close 15 September. is a literary magazine founded in 1973 by the creative writing program at the University of Montana. It publishes two issues per year featuring fiction, poetry and literary non-fiction by established writers and new voices alike. Submissions reopen on 15 September. supports writers, visual artists, artists in the field of new media and interdisciplinary projects. Accommodation is provided in North Rhine-Westphalia, Germany and a stipend is also provided. The next application round closes 15 September. now in its 47th year of publication, is the journal of the English Department at New Mexico State University. It welcomes submissions of poetry, fiction, non-fiction, translations, artwork and criticism, as well as any interesting combinations thereof. Puerto del Sol’s reading period reopens on 15 September and runs until 1 December. is based in Michigan and publishes poetry, fiction (including traditional and experimental fiction, shorts, and novel excerpts, but not genre fiction), creative non-fiction (including lyric essay, creative reportage, and memoir), drama (including both performed and unperformed pieces) and translations. Submissions are welcomed from new as well as established writers. Third Coast’s reading period opens 15 September. is open to work of fiction by a living author that has been translated into English from any other language and published in the United Kingdom between 1 January and 31 December 2014. The winning author and translator each receive £5000. Entries close 16 September. are open to American and Canadian writers, artists and scholars.The Awards are highly competitive. In the 2014 round over 3000 applications were received with 177 grants being awarded. Applications close 19 September. looking for striking short stories of up to 8000 words that move and astound. The prize is £1000 and entry is free. Entries must be original work of a London resident aged over 18. Entries close at midday on 19 September. is for previously unpublished memoirs by women. Submissions need to be the first 5000 words of a full-length memoir, written in prose and narrate actual events in your life. First prize is £5000 and five other finalists will be offered free professional feedback by The Literary Consultancy. Closes 22 September. is seeking new essays on the theme ‘waiting’. It is looking for well-crafted true stories of delays, postponements and pauses that explore and examine our relationship with time. Creative Nonfiction editors will award US$1000 for best essay and $500 for runner-up. Closes 22 September. was established in 1990 to recognise great fiction and non-fiction debuts from authors at the start of their careers. In addition to a US$10,000 prize, the winning titles are promoted extensively in stores and online. Nominations must come via the book’s publisher. Nominations for Spring 2015 close on 25 September. are open to writers from around the world whose work will benefit from access to the collections housed at the Library’s main branch on Fifth Avenue. A stipend of up to US$70,000 is granted to each fellow along with an office, a computer and full access to the Library’s physical and electronic resources. Applications for 2015/16 Fellowships close on 26 September 2014.
is a new free online course being offered by the University of Iowa’s prestigious International Writing Program. The course commences on 27 September and there are no limits on enrolment numbers. is awarded to the single best submission in the respective categories of poetry and fiction. The winners receive CA$1000 together with a book pack valued at approximately $700. The judges for this year’s prize are Margaret Atwood (for poetry) and Zsuzsi Gartner (for fiction). Entries close 30 September. is open to unpublished, full-length prose manuscripts, including novels, memoirs, short story collections, and essay collections. The winner receives US$1000 and publication by Ashland Creek Press. Entries close 30 September. is open to writers worldwide and carries a first prize of £100. Stories can be up to 3000 words an in any genre. Bedford Writing Competition is not-for-profit and all proceeds are donated to charity. Entries close 30 September. seeks work that is a celebration of language and place. Short works (poems, collection of photographs) and longer works (full length collections of poetry, hybrid prose, creative non-fiction, essays, and short stories) are welcome. The current reading period closes on 30 September. is seeking submissions for its second electronic poetry issue. According to the website it is looking for ‘digital-born poetry, electronic poetry, poetry in programmable media and codeworks: a poetry that isn’t merely published online but one that is informed, shaped or built by the culture and technology of the programmable machine and the network.’ Closes 30 September. is presented by the National Literary Trust and Bloomsbury Children’s Books. UK writers are invited to submit stories for 8 to 12-year-olds and first prize is a publishing contract with Bloomsbury including an advance of £5000. Entries close 30 September. is for manuscripts between 14 and 50 pages. First prize is US$200, publication and 50 copies of the published book. Entries close 30 September. is running its fifth annual contest for the publication in English of a contemporary Bulgarian novel. The contest is designed for authors of contemporary Bulgarian literature and applicants must have at least one novel published in Bulgaria. The winning work will be published in the USA by Open Letter Books; entries close 30 September. is open to any writer who has not previously published a volume of prose fiction. The manuscript must be a collection of short stories in English of at least 150 word-processed, double-spaced pages. Award-winning manuscripts will be published by the University of Iowa Press under the Press’s standard contract. Closes 30 September. seeks proposals for a cogent piece of journalism on any subject. Any Australian writer with a publication record (books, creative writing, essays, or journalism) is eligible to apply. The Fellow’ will receive AUD$5000 and their article will appear in the print magazine and ABR Online. Proposals are due 30 September. is for short stories in any speculative fiction genre including fantasy, science fiction and horror. The contest has been running since 2004 and has a Grand Prize of €1000 (US$1300). Entries must be less than 10,000 words and must not have been previously published. The contest opens on 1 January each year, and runs for four rounds throughout the year. The submission deadline for the third round closes 30 September and the final round 30 November. is for a selection of 10 poems of a maximum of 36 lines each. Two winners will receive 25 copies of their collection up to 52 perfect bound pages. A standard royalty contract will also be awarded. Entries close 30 September. is accepting entries in three categories: short story contest (1000 to 7,500 words, open genre), flash fiction (55, 250, or 500 words) and poetry (maximum of three pages per poem). Entries close 30 September. is a magazine of literature published four times yearly and supported by the Department of English at Ohio State University. The Journal is interested in quality fiction, poetry, nonfiction, and reviews of new books of poetry and prose. It imposes no restrictions on category or type of submission for fiction, poetry, and nonfiction. It is also happy to consider long stories and self-contained excerpts of novels. The current submissions round closes on 30 September. was founded in 2010 and today it comprises a quarterly edition, a website and blog, regular events series, a writers workshop and an online shop. KYD publishes essays, commentary, interviews, fiction and reviews, as well as regular opinion-pieces and columns. Submissions will be accepted throughout September. will be judged in 2014 by Ruth Ozeki, winner of the Los Angeles Times Book Prize for A Tale for the Time Being. The winning author will receive US $1500 and have his or her work published in the summer edition of Boston Review. First runner-up will be published in a following issue, and second runner-up will be published at the Boston Review website. Stories should not exceed 5000 words and must be previously unpublished. Entries close 1 October. is the largest international artists’ and writers’ Residency Program in the United States, hosting 50 visual artists and writers each month from across the country and around the world. The Studio Center provides 2-12 week studio residencies on an historic 30-building campus along the Gihon River in Johnson, Vermont. The next application deadline is 1 October. has the aim of seeking out and encouraging talented writers, with the winning and runners-up’s work being forwarded to leading literary agents. A first prize of US$1000 is also offered. Stories can be up to 5000 words. Entries close 1 October. are awarded to books first published in the United States during 2014. All entries must be made available for purchase by the general public in either hardcover or bound paperback book form. In the Fiction, Biography and General Nonfiction categories, authors must be United States citizens. In the History category, the author may be of any nationality but the subject of the book must be U.S. history. Entries for book categories close 1 October. accepts submissions of fiction, poetry, and non-fiction between 1 October and 15 November. It also reads non-fiction pitches until 15 December. VQR generally pays US$200 per poem and 25 cents per word for prose. will award a prize of US $2000 and publication for a poem or poems up to 10 pages long.All themes and subject matters are eligible and all submissions will be considered for publication. Entries close 1 October. is seeking entries for its Monsters and Marvels contest. There are no genre restrictions and no entry fee. Prose entries can be up to 12,000 words. The competition opens on 15 September and closes 1 October. is run by The Missouri Review. Three prizes of US$5000 are on offer for fiction, non-fiction and poetry. Up to 25 typed, double-spaced pages can be submitted for the fiction and non-fiction prizes. Poetry entries can include any number of poems up to 10 pages in total. International writers are welcome to enter and entries close on 1 October. are offered in collaboration with Sarabande Books and Bernheim Arboretum & Research Forest. The Bernheim Forest Writing Residency is located in a 14,000 acre forest and nature preserve located near Louisville, Kentucky. Residents receive a $500 honorarium and stay for between 4 and 12 weeks in a furnished cabin. Applications close 1 October. is a Dublin-based journal of ideas, fiction, poetry, criticism, music, spoken word and translation. Submissions for its third issue, with the theme magic close 1 October. is currently accepting entries. ‘Independently Published’ books include self-published books (such as those published through CreateSpace, Lulu.com, iUniverse, etc.) and/or books published through small presses releasing less than five titles per year. There is no limit to the number of books an individual can enter, though each book requires a separate entry fee. Entries are due by midnight on 1 October. is accepting fellowship applications from the humanities, social sciences and creative arts. Fellows receive office or studio space and access to libraries and other resources of Harvard University during the fellowship year, which extends from early September 2015 through May 31, 2016. Stipends are funded up to US$75,000 with additional funds for project expenses. Applications close 1 October. welcomes original speculative fiction short stories and poetry. It defines ‘speculative fiction’ broadly, including science fiction, fantasy, horror, alternate history and related genres. Submissions reopen 1 October. is an international literary and arts journal that promotes innovative English language writing from the Paris area and around the world. The journal welcomes submissions of innovative or cross-genre forms, prose poems and flash fiction. Standalone excerpts from longer works will also be considered. Submissions reopen 1 October. is a print quarterly publishing in-depth interviews between artists alongside artists’ essays, literature, and portfolios. Unsolicited poetry and prose submissions for its literary supplement First Proof and its weekly online Word Choice column reopen on 1 October. is located in Dawson City, Yukon. Professional Canadian writers who have published at least one book and are established in any creative literary discipline (fiction, non-fiction, poetry, play/screenwriting, journalism) may apply for a three-month residency. Closes 3 October. are for historical research by creative and performing artists, writers, film makers, journalists, and other persons whose goals are to produce imaginative, non-formulaic works dealing with pre-twentieth-century American history. At least three fellowships will be awarded for residencies of four weeks at the Society in Worcester, Massachusetts. A stipend and free on-campus accommodation is offered. Applications close 5 October. in partnership with BBC Writersroom, are inviting submissions for the second £10,000 Wales Drama Award. Writers must submit a full-length script in any medium, unperformed or unproduced and in the English language, and at least 30 minutes long. This opportunity is open to any writer residing in Wales. Entries close 7 October. is an annual fiction competition sponsored by the Creative Writing Program at the University of Louisville. The prize is awarded for writing in the fabulist experimentalist style of Italo Calvino. First prize is US$1500 and publication in Salt Hill Journal. Stories must be less than 25 pages in length. Entries close 14 October. offers residencies of one to three months to mid-career writers, poets and artists at the Dora Maar House in Ménerbes, France. Residents are provided with travel expenses, lodging, work space, and a daily stipend. Applications must be submitted by 15 October for fellowships taking place between 1 February and 30 June 2015.
is open for entries. The winner receives US$2000 and a phone consultation with a top action movie producer. Entries close 15 October. has been given annually since 2005 to a novella length manuscript of original fiction. The winning manuscript will receive a US$750 advance and publication. Submissions close 15 October. is accepting applications from college students and graduates for its editorial internship program. Interns work on a full-time, unpaid basis for three to five months and receive practical experience in critical reading and analysis, research, fact checking, and the general workings of a national magazine. Applications close 15 October. welcomes submissions of fiction, creative nonfiction, poetry, short drama, video essays, and hybrid work from established as well as emerging writers. It also welcomes short-short prose pieces. It asks that poets submit no more than six poems between per cycle, and that prose authors limit their total submission to fewer than 3500 words. Submissions reopen 15 October. awards approximately US$54,000 annually to an American poet to spend one year outside North America, in whatever place the recipient feels will most advance his or her work. The scholarship is open to all American poets, whether there work has been published or not (though recent recipients have been published poets). Applications close 15 October. is open to all authors of any age or nationality. Winning, highly commended and a limited number of stories will be selected for publication. First prize is valued at AUD$1500 and includes $500 cash and $500 contribution towards an airfare to attend the Margaret River Readers and Writers Festival in Western Australia. Entries close 18 October. 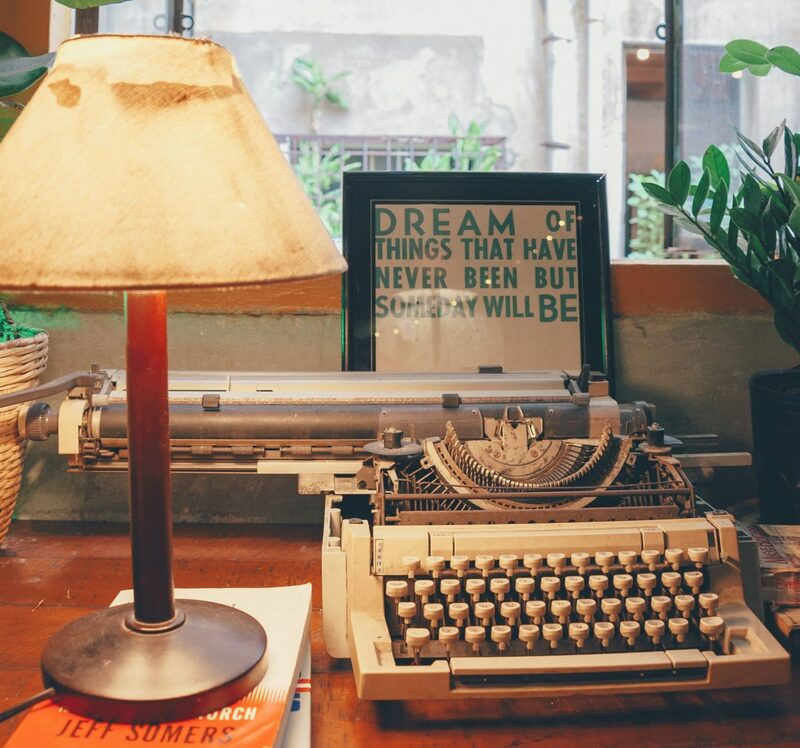 aims to introduce up-and-coming writers to top publishers and literary agents, giving novelists the opportunity to bypass the slush pile, pitch their ideas and place their synopsis and sample chapters directly into the hands of publishers and agents. For the first time the IWC is encouraging applications from writers around the world. Applicants need to available to attend the Fair in Dublin on 21 February 2015 and all travel expenses must be self funded. Closes 24 October. is an annual award given to three English-language literary works for young adults written by Caribbean authors. A first prize of CAD $10,000, a second prize of $7000 and a third prize of $5000 will be awarded to the winning authors. Published books and self-published books published between 1 October 2012 and 23 October 2014, as well as unpublished manuscripts, are eligible for the award. Entries close 24 October. is an annual publication produced by students in the Columbia University School of the Arts Graduate Writing program. The journal is dedicated to publishing not only established authors but also fresh, never before published voices. Submissions close 31 October. will be given for a middle grade or young adult fantasy, science fiction, or mystery novel by a writer of color. The Award winner receives a cash prize of US$1000 and a standard publication contract with TU Books including a basic advance and royalties. is a biannual journal published by the MFA community of Antioch University of Los Angeles. It publishes fiction, creative nonfiction, poetry, writing for young people and visual art. Submissions for the Winter/Spring 2015 issue close 31 October. is England’s oldest literary periodical, with a history stretching back to 1732. Entries for the magazine’s prestigious short story competition are welcomed from writers around the world. The winner will receive £500 and publication. Entries close 31 October. publishes works of short fiction, non-fiction, poetry. Prose submissions should be under 5000 words. Reed Magazine also runs three annual writing contests: the John Steinbeck Award (fiction), the Gabriele Rico Challenge (creative nonfiction), and the Edwin Markham Prize (poetry) – entries close 1 November. are hosted annual by The Madison Review. The finest unpublished short story and finest group of three unpublished poems will be awarded US$1000 with publication in an issue of The Madison Review. Writers may submit one entry per genre (one short story and/or group of three poems). The contest opens on 1 September and closes 1 November. publishes a range of contemporary poetry, fiction, and criticism. Each year typically includes two single issues and a double issue with a special feature section. The editors welcome submissions of unpublished poetry, fiction, and book reviews (please query before sending nonfiction). is a quarterly interactive literary journal that joins many stories around each issue’s theme. The editors invite authors to explore each theme in any way that speaks to them including rewriting a familiar story from a new point of view, mashing genres together or writing a personal essay about some aspect of the selected theme. NonBinary review is currently accepting submissions for December’s issue on L. Frank Baum’s The Wizard of Oz and April 2015’s Bulfinch’s Mythology: The Age of Fable themed issue. is an online magazine dedicated to showcasing the best literature – fiction, nonfiction, poetry – inspired by video games. More informal pieces for the magazine’s blog, The Airship, are also welcomed. publishes fiction, literary non-fiction, poetry, graphic narrative, interviews, and book reviews. There is no word or page limit, though they prefer prose that is between 3 and 25 manuscript pages. The Florida Review’s reading period is open until May, although subscribers’ submissions will be read year-round. is seeking scripts of plays or screenplays that stand on their own as text. Script length is flexible, but it must be engaging as pure text. They recommend no more than 15,000 words. Fiction and creative non-fiction submissions are also being considered. a new New York City-based independent press specialising in high-quality fiction, non-fiction, and children’s literature by new and emerging writers, is accepting submissions for its inaugural 2015-2016 season. Submissions should be electronically and be accompanied by a brief description of the work and the audience for which it is intended. is a UK initiative that seeks offer free mentoring by professional literary women to talented up and coming female writers who would otherwise find it difficult to access similar opportunities. Each mentor selects their own mentee and it is at their discretion how little or much time they donate and what form that takes. There is no application deadline and mentors will keep receiving applications until they have selected their mentee. accepts submissions for its ‘New Voices’ series year round. New Voices are published online and a number of stories from new authors are featured each month. Submissions are open to any new or emerging author who has not published a work of fiction or narrative nonfiction of novel length and writers are paid 10 cents per word up to $200. is published by The Substation, a hub for contemporary art in Singapore. The publication has a different theme every quarter and showcases The Substation’s unique take on issues in Singapore, tackling topics from gender to activism, technology to food. is open to short stories, essays, memoirs, photo essays, graphic stories, all forms of literary nonfiction, and excerpts from longer works of both fiction and nonfiction. Entries must be previously unpublished and no longer than 15,000 words. First prize is US$2500. The contest opens on 1 September and closes 30 November. publishes in three languages — English, Spanish and Catalan — with occasional translations from one language to another. The Barcelona Review is currently accepting submissions for previously unpublished short fiction, articles and essays. is an interdisciplinary journal of arts and culture that seeks to combine the best of poetry, fiction, and creative nonfiction with outstanding critical essays on literary, cultural, social, and political matters. Submissions for this print journal are accepted year round. is open to enquiries. It seeks work including literary fiction, commercial women’s fiction, narrative non-fiction and children’s books, especially middle grade and young adult. Writers are asked to send a query letter only; if they are interested in the submission they will request sample chapters or the full manuscript. is a project of the Asian American Writers’ Workshop. It is looking for essays, cultural commentary dealing with issues of race, immigration and transnationalism, literary criticism, in-depth interviews, reviews, creative nonfiction, fiction and poetry. features new and classic stories (and story collections) from publishers and writers around the world. They are looking for great storytelling across a diverse range of topics and genres. All stories should be over 1500 words. They are currently looking for non-fiction, fiction, in-depth interviews, magazine features, ebooks and anthologies, book chapters or excerpts, and academic or professional research. features essays, fiction, poetry, graphics and book reviews. The GR website states ‘Pulitzer Prize winners and never-before-published writers are equals during our manuscript evaluation process.’ All work must be previously unpublished and simultaneous submissions are not accepted. Can you please keep me posted on relevant competitions and programmes.